They reckon that an average couple will move eight times during their marriage! I can wholeheartedly confirm there’s nothing “average” about us in any way, shape or form, that includes the number of times we have moved! I think and I really can’t be bothered to actually count them but I reckon that we beat that average in our first two or three years of marriage, but who’s counting anyway. I must admit that it is scary how quickly the last 20 years have gone bye. 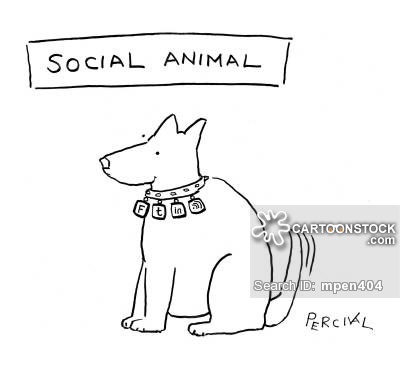 We have made so many friends along the way, many of which we remain in close to touch with thanks to social media and other channels, others, sadly we seem to have lost touch with. So, today, 20 years ago we tied the knot. Both at the tender age of 20 and still had no clue what life was all about. All we knew was that we were right for each other and rather than a couple getting married, it was two best friends saying “I do”. We got married in St John’s church in Weston Rhyn, near Oswestry in Shropshire. I must admit that the day was a bit of a blur. I can remember snippets of the day which I guess were sort of highlights. Our reception was at The hand Hotel, Llanarmon DC (Dyffryn Ceiriog if you were wondering what the DC stood for). Here comes the bride – I am (believe it or not) quite a shy character, that remains a big trait of my personality to this day. I can remember standing at the alter waiting for something to happen, I didn’t really dare to look behind me at the increasing crowd sitting staring at me. Then it all happened, the music kicked in (no idea what it was) and I turned round to see a beautiful young lady walking towards me, all of a sudden everyone there disappeared from my sight, there was only one person I could concentrate on. Suddenly, everything felt fine. I have no recollection what happened after that until the point in which we were outside and then the photos began (that’s something else really dislike, having a photo taken of me, but it was soon all over). All our wedding photos are in our shipment, somewhere in Europe…….I think/ I hope. We were then taken by Allan (can’t remember his surname) in his Jag to the reception. We arrived in the hotel which was some 20 or so minutes down the road from the church (I had my car there already, or someone drove it there for me, I can’t remember). There was a director of ceremonies who was most keen to be part of it all, I really cannot remember of he had been asked to or not but hey, he was there. He was very keen to introduce the Reverend Nigel Cosworth, it was actually the Rev Nigel Coatsworth but still. Time for speeches: Mike’s (father in law) speech was very nice and I remember a lot of it still. Then it was Malcolm’s (best man) turn, I remember a lot of it too Malc (if you’re reading this). Then it was my turn….hmmm. I have only gotten better at public speaking and presentations in the last five years. I became totally tongue-tied when it came to thanking the bridesmaids, there was no way on this planet I was going to be able to say the word bridesmaid without getting it horrifically wrong. No, you can’t even blame alcohol as I was driving that evening! Once all proceedings were over we headed to the car which had of course been decorated and tampered with including cornflakes in the air-vents, lots of shaving foam etc etc. We drove back to our new house to fetch something or another only to arrive at our driveway to find someone had parked a rather large speedboat across our driveway. We called the police to report this and walked up to the house. Grabbed what we needed and headed back to the hotel (where we had our reception), after all the hassle we nearly got there too late and were nearly locked out! Anyway, we didn’t get locked out and the next morning we headed off on our honeymoon in Devon. We knew we would have some sort of adventure in our lifetime and that we weren’t really destined to settle down and conform to what most people in society would consider a “normal” life. Yes, we tried it, we bought our first house a few years after getting married, mowed the grass at weekends, worked 9-5 and tried to keep up with the Jones’s. But after a few years we realised this wasn’t what we wanted in life. It all started with a trip to Spain to visit my parents in 2000 or thereabouts, the rest is history…..
We spent a couple of weeks back home in Oswestry (Oswestry will always be our home, regardless of wherever we may be in the world). We took the opportunity to pose outside the church were we got married, the photo was taken by our four year old daughter! We have had ups and downs, high points and low points but overall we never stopped being best friends, enjoying each others company and having fun! We have had lots of support (and a lot of understanding) from a loving family to whom we will always be eternally grateful…..
Ok, maybe just the alcohol bit, not the cigarettes because after the best part of smoking for 25 years I quit three and a bit years ago. But, hell yes, alcohol indeed! Our first Alcohol at Home! Buying alcohol here isn’t like in other countries where you can just take a walk to a shop or “pop” into your local boozer for a pint. Here, there’s a procedure which needs to be followed before purchasing alcohol to take home. It means having your resident’s permit and then having a license to purchase alcohol. Price of alcohol ain’t cheap here but not exorbitant either, probably around double what you would pay in the UK from the shop and about the same as you’d pay for a pint in London when purchasing alcohol in a hotel, more or less. Believe it or not and as crazy as it may sound, being able to have a beer at home does make you feel more at home if that makes any sense! We have a busy weekend ahead of us, that’s fab! Starting on Friday, we have a birthday party to attend to in the centre (I love driving to the centre, we live on the outskirts of the city which is totally different from the modern skyscrapers). After that we will be going to someone’s house in the compound for a bring your own food and socialize sort of thing (we are taking some home made empanadas and probably will make some Tarator soup which is a Bulgarian cold soup http://en.wikipedia.org/wiki/Tarator After that at around 19:00 hrs Cathy is off to an engagement party. Her Qatari teaching assistant is getting married so Cathy had an invite to the engagement party, how cool is that! Saturday we will probably pop out to Al Wakra family beach, it has been highly recommended, seeming that it’s only 30 km from here we may as well go and visit. Then after that at 15:00 hrs (I think) we are going to see Disney on Ice, Rocking Ever After, along with a few friends. After that, we’ll probably have a bite to eat and then an early night ready for the new week (I keep finding it weird that Sunday is the first day of the working week). Then next Thursday sees the start of Eid holiday break, Cathy and Katja have the week off, we have friends from KSA coming to see us. A busy weekend ahead of us, but one I am very much looking forward to! As the weather cools down we will be going out and exploring more and more areas in this wonderful country. We sort of started off yesterday by taking a drive out of the city, in reality I was trying to see if we could find some camels wandering around. We never imagined what we would encounter instead! We headed out of Doha with the idea to head to the most northerly point in Qatar, Medinat ash Shamal http://en.wikipedia.org/wiki/Madinat_ash_Shamal – Friday morning is probably the quietest time of the week to go traveling anywhere. As we headed out of Doha we went past Ikea and all the roadworks there. 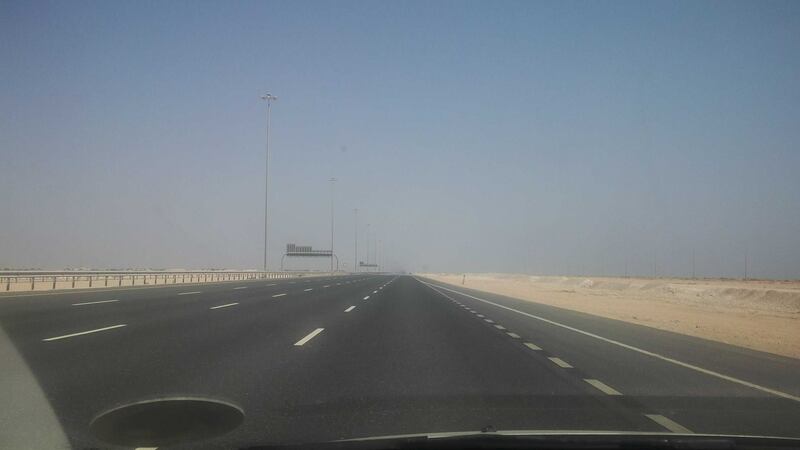 Even though there was little traffic, by the time we left Doha, there were hardly any cars on the road. We had a superb four lane motorway all to ourselves! As you can imagine, the countryside is pretty baron, come on, we do live in the desert after all! What were you expecting, green rolling hills? Every so often there would be trees surrounding a property or something but other than that not much else. We drove probably around 30 minutes when to the right hand side I spotted the sea. As we hadn’t gone out with any particular plans other than to see what’s out there I came off the motorway and headed towards the sea. 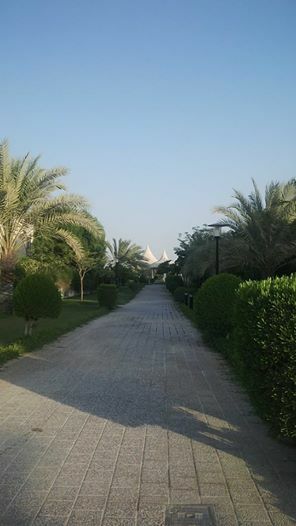 We came up to a resort on the beach called Al Ghariyares resort. As we made our way towards the resort we went past loads of Jet Ski and Quad Bike hire places, we arrived at the barrier to the resort but there was nobody there so we took all the details down and continued towards the beach. We stopped nearby and walked down to the water’s edge. To say it was spectacular is an understatement. The water was crystal clear, the sand soft and the water was disappointingly and positively HOT! I say disappointingly because it was already pushing 40 degrees by 9 am and had it been just a touch cooler, that would have been perfect. A friend of mine who has studied the waters around here then told me that this time of the year, water temperature is around 31 degrees (thank’s Jim!). We hadn’t brought our swimming stuff but that didn’t stop us from having a paddle and count ourselves lucky to have places like this on our doorstep. All I can think off after this is “how many other little gems like this can we find?” – After a paddle we headed back onto the motorway and decided to go home. Having not brought a change of clothes we thought it was best to call it a day. 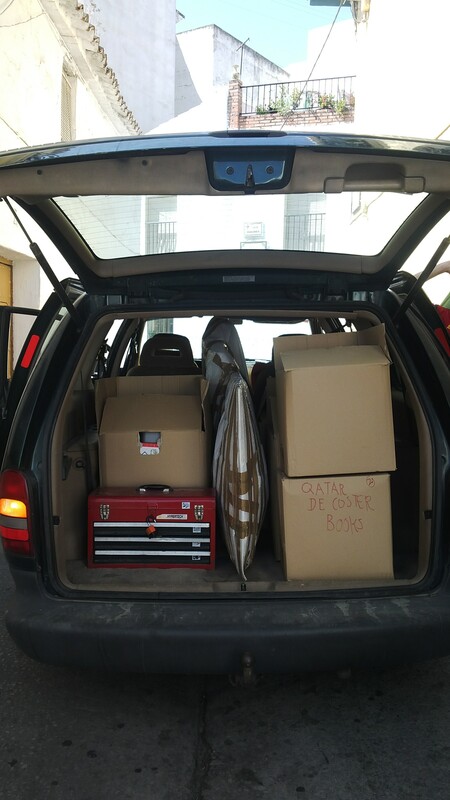 We are so enthusiastic about finding new places but at the moment we are a tad restricted by the weather (but this will change in the next couple of weeks) as well as by still running around in a Ford Focus hire car; as soon as we have our 4 x 4 there’ll be nothing stopping us! We are contacting the resort to try and arrange for a few of us to go there for a weekend, it is truly mind blowing! Greetings once more from the land of the most amazing and dramatic sunrises and sunsets. Oh how I wish I would have had my camera at hand this morning and this evening. Sunday to Thursday the alarm goes off at 05:00. My wake up alarm is to the sweet and soothing sound of Ozzy Osbourne, Cathy’s is some weird cacophony of obnoxious sounds! Until now, by 5 am it has been daylight which means we were not able to witness these amazing sunrises. However, as sunrise is later and later, we are so privileged to witness the most amazing sunrises as well as sunsets. Tonight’s sunset was equally as dramatic as how the day started. It was as if this ball of fire decided it had had enough for one day and graciously bowed out for the night. Unfortunately I was driving in heavy traffic so I was unable to do much about it other than just marvel at this phenomenal sunset I was so lucky to witness. With a little under 24 hours notice I was told tomorrow (Thursday) I have to go for a medical for my RP. I was a little surprised as I was told I wouldn’t need one but hey, let’s go with the flow and get on with it. At least all I have to do is turn up at school and they’ll take me there and bring me back. So other than volunteer my arm for a blood test and stand up for a chest X ray I don’t have to do much more than that! Blood test is to check for any VDs (we had those done in Spain for our visa less than six months ago) and the chest X ray is to check for TB. I can say I am clear on all counts (I’d have some explaining to do if I wasn’t). One of the fab things about living in a sort of community as we do is that everyone is happy to help out, even at short notice. So, tomorrow instead of me picking Kati up, she’ll go back to someone’s house on the bus with their nanny, simple and no hassle! Of course, we will return the favour at the first available opportunity. New School, New Country NEW BUGS! Poor Kati has been struggling with a horrible cold (funny phrase that as no one has ever referred to it as a lovely cold). Anyway, she’s been struggling today, lots of sneezing and plenty of nasal explosions, say no more! I am struggling with a head cold and Cathy is also coming down with it too! We decided to break away with our routine of Thursday shopping and do our main shopping tonight, I know, shock horror! We had to go into town to renew our hire car so we thought we may as well kill two birds with one stone and get the shopping done too while we were at it. We are waiting for one last bit of paper and we will be buying a car. It’s quite annoying paying every month for a hire car! While we were in Carrefour we thought we may as well buy tea there. So we popped to the rotisserie to see what we could pick out. We had some equivalents of onion bhaji, some spicy breaded chicken drumsticks, some vegetable spring rolls and some samosas. I must admit they looked better than what they tasted but they were good anyway! We are all so looking forward to the weekend to recharge our batteries, we are all pretty knackered, it has been non-stop since July. we are all due a bit of a break. Cathy has 1 week holiday in October. Jim and Anna will be driving over from Saudi Arabia to see us. Last time we saw them was in Bulgaria a few years ago, will be great to see them again! Hurrah! we can now give the shipping agent the green light for our shipment! As it’s a UK company we have to pay in GBP, fortunately, thanks to the whole Scotland independence uncertainty the £ has dropped a bit in value which favours us enormously so we are organising all that before the Pound goes back up again. We should hopefully have our shipment early to mid December! Being a bit of a chef wannabe, I can say hand on heart that I am in cooking heaven here, just wandering around Carrefour or even Lulu’s and seeing all the spices gets me most excited, shame I don’t know what to do with them at the moment! One of my aims when we left Spain was to cut down on drinking and lose weight, after having “accidentally” weighed myself as I was casually walking past a set of scales really confirmed my suspicions that I really have to lose weight! Since arriving in Doha a little over a month ago I have achieved 50% of my targets (cut down on drinking and losing weight), I must admit that the cutting down on drinking is more to do with the fact that we don’t have a license to buy alcohol (yet) and there’s nowhere to actually buy a drink near us! On the losing weight bit, now that is a totally different story! Food here is absolutely fabulous, whether you go out for a meal (we’ve eaten out several times and are yet to have a bad meal), or whether you are cooking at home, there’s a great selection to choose from! For example, on Saturday (that’s the equivalent of your Sunday in most cases) we cooked a rack of lamb which we bought for 26 QR (5.50€ or £4.60). 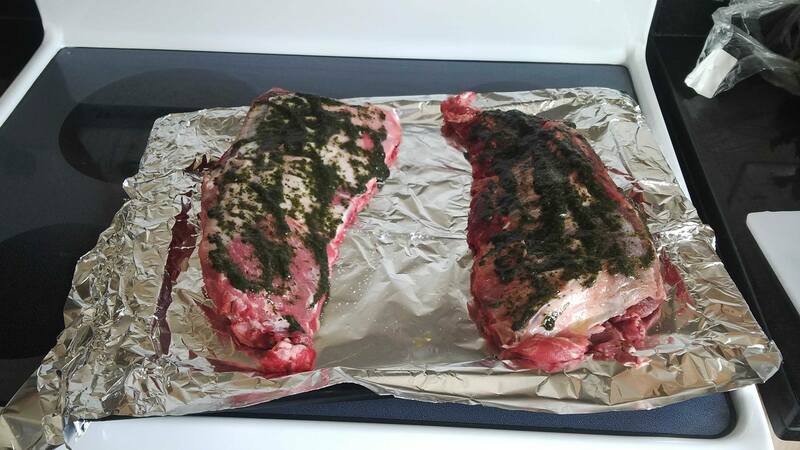 Imagine our surprise when we opened the package and found it was actually two racks of lamb! These were cooked gently for a few hours in mint sauce, the outcome was pretty good, value for money one must give it a 10/10. The night before we ate in the restaurant at the club house, Cathy (philistine) had fish and chips (yes, I know, that famous eastern European meal!) and I beef medallions with vegetables (perhaps not that much better) but once again it was fabulous (I don’t do fish so I can only take Cathy’s word for it that it was good). Mike goes off at a Tangent…… Again! http://en.wikipedia.org/wiki/Mitsubishi_Pajero By the way, it was my aunt who found this on Wikipedia, in order not to embarrass her, she shall remain nameless but the first letter of her name is G and ends in E! I negotiated a pretty good deal on the price of the car to include insurance, registration and tinted windows which are a must (they also have to be approved by the government and have a certificate), our only dilema now is whether to wait until the Eid holiday when many dealerships have special deals or to buy now. Part of me says wait, part of me tells me we’ve had a good deal and she ain’t going to improve on that….decisions, decisions! After our lovely roast and as the temperature had dropped to a very pleasant 38 degrees or so, I popped out with Kati for a wander around the compound. It was a good chance for Kati to take her bike for a spin and for us to investigate some of the parts of the compound that you can’t access with the car. In the past few days the drop in temperature has been quite noticeable, especially in the mornings. This morning it was 29 degrees at 6:10 when I took the girls to school. What has helped tremendously is that humidity has dropped too. During some of the more humid days (70% – 80%) as soon as one walks outside, if you’re wearing glasses the steam up immediately,i t is then that you realise how humid and hot it is! Time flies, said the monkey, as he threw the clock out of the window! No, I mean time has really flown the past four weeks have been so busy and so many thing have happened that they have just literally flown by! 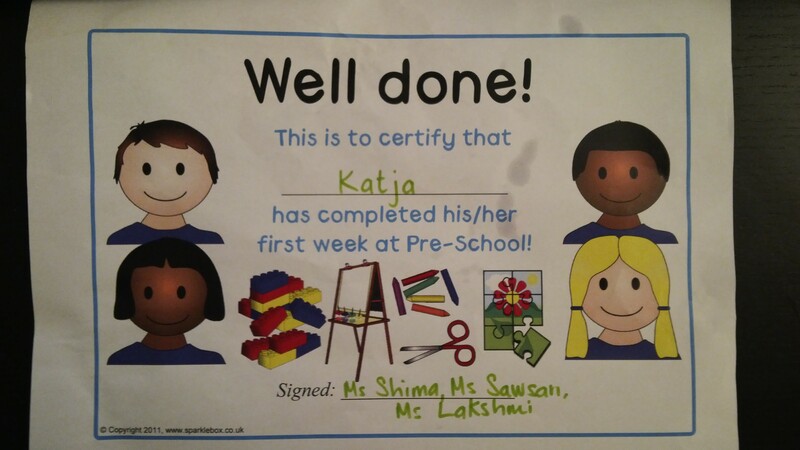 I picked Katja up from school and with great excitement showed me a certificate issued to her to congratulate her on completing her first week at school. She had a good week. She had a couple of ups and downs but overall she had a good week. She has enjoyed her first week and loves her teachers. She’s coming up with several Arabic words as she is learning Arabic at school too (I am jealous as I really want to learn Arabic too). The Magic Key to Qatar! Yesterday (Thursday) was a pretty good day as Cathy had her RP (this means we can buy a car and buy alcohol!) The RP is our long stay permit, mine should be ready in around three weeks. This also means that we are once again reunited with our passports too. Talking with Jamaal (our Indian driver) and RP is a magical key that opens all doors in Qatar! So, next week the real car hunt begins! My understanding of the term “Brunch” is that it’s a compound word meaning breakfast and lunch but not here! We had an invite from Steve who we met through Twitter and then met up in person in Villagio a couple of weeks ago invited us to brunch at the Marriots, icing on the cake (and there was lots of cake) is that there’s alcohol too! Katy and Andrew very kindly offered to look after Katja for the evening so we could go out (thank you guys, we are eternally grateful for this as it is the first we’ve gone out without Katja since Damon and Elise looked after her when we lived in Bulgaria a couple of years ago). We spoke to Jamaal our Indian driver and now friend to pick us up at 17:45 to make sure we got there on time to maximise the number of hours of eating and drinking! After Cathy finished school we dropped Katja off at Andrew and Katy’s and soon after Sanjit (Jamaal’s colleague) picked us up bang on time. We left the compound in Sanjit’s Toyota Corolla which had a perfume bottle on the dashboard filling the car with some weird pungent aroma. I tried to strike conversation with him but this was as painful as pulling teeth, he wasn’t very chatty plus his English wasn’t exactly brilliant. Anyway, after a rather painful 1/2 hour of uncomfortable semi-silence keeping entertained by watching cars drive like if they are on a race track and watching several near misses as we carved our way through traffic to our final destination. We arrived at the Marriott Hotel just before anyone else. Steve and family arrived soon after and then several other people arrived too. We met a load of great and interesting people and had a fantastic night out. WOW! I only wish I had taken a photo of what was available – It was mind blowing to put it mildly. If you imagine a gallery lined up with very nicely presented food ending in a large oval room with more food in the middle! The choice of food was simply AMAZING (Indian, Chinese, Middle East, Sushi, Fish, Roasts, Salads, Vegetables and the list went on and on) – Once we had attempted to eat as many different dishes as we could (we probably tried less than 10% of what was there) it was time for desserts! We are used to Spanish desserts (and Bulgarian for that matter) which look amazing but when you taste them it’s like eating sugary cardboard (in my opinion)- Here it was the reverse, presentation wasn’t brilliant but wow, it tasted amazing! We ate and drank and had a fab time, every time my beer glass was empty, it was replaced by a fresh full one! Jamaal picked us up from the hotel and we headed back home via Katy and Andrew’s to pick Kati up, apparently she had a great evening swimming and playing with all the other kids so all in all, a good evening was had by all of us! I am sitting here this morning having been woken up child at 06:15, we are both compus mentus and not nursing a hangover, we paced ourselves last night as we know (from past experience) that looking after a rather demanding child nursing a hangover does not lead to an enjoyable day! During our first month here we have achieved a lot; in saying that, we didn’t really do a lot for it as it was thanks to the amazing support we’ve had from school and the team who made the transition painless. We just cooperated with what they asked us to do and they got the job done. We are now looking forward to the coming weeks when temperatures drop so we can investigate and visit places. As well as that, we are looking forward to Jim and Ana’s visit in early October! We shall now enjoy our weekend (remember that’s Friday and Saturday) by going for a nice swim (as soon as the sun goes down as it’s still too hot, 45 degrees yesterday) and then an early night! 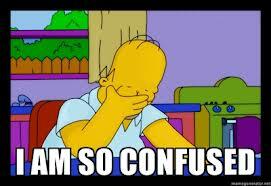 Have you ever woken up after going into a deep sleep and not knowing what time of the day it is and feeling confused? I’ve heard of this being called sleep drunkenness. No chances of me being drunk in any way, shape or form, after all, we haven’t had our RPs yet so therefore not able to buy alcohol, yes, I know we can go to a bar etc, etc but we haven’t got round to it yet. Mind you, in saying that, we will be going out on Thursday to an all you can eat/ drink brunch but more about that on Friday….or maybe Saturday! The reason I used that phrase as an opening line is that yesterday I became so engrossed in work and on online meetings that I totally forgot where I was. I mean completely. This has happened to me in the past when I was traveling a lot between Spain, UK and Morocco and on one ocassion I had to switch the TV on in the hotel to figure out where I was. Yesterday after having to cut short a skype meeting and fly out the door to pick little Katja up (after all, what kind of responsible dad would I be if I was late on her first day, for more on that look at yesterday’s post Carmageddon). As I flew out of the door in our apartment I was completely lost as to where I was, it was only when I opened the downstairs door and that wall of 45 degrees heat hits you and then seeing my Qatari number plate on the car that I suddenly remembered where I was! In the past six weeks we’ve traveled a lot, by car, plane and ferries, it’s hardly surprising that a certain amount of confusion may creep in, it’s either that or Alzheimer’s setting in ! Having been warned about the serious traffic in Doha I was a little apprehensive as to what would happen Sunday morning when 243,000 kids in the 300 + schools in Doha went back to school! Please note that the word “Carmageddon” is a borrowed word and not my creation! Anyway, before I go steaming in to Sunday let’s catch up on what we did on Saturday! Saturday started as most “normal” Saturdays, we were summoned by our child master at around 05:30 and informed it was time to get up. “Note to self: must train child to switch TV on and leave us alone until we wake up naturally! ” Anyway, we were all awake and so the day began. We looked out of the window and hey, guess what? It was sunny and hot, even at this unsociable hour you can already feel the heat coming in through the windows. As Saturday was the last day of Katja’s summer break and Sunday was to be an early start we had to make sure she didn’t have a nap as the plan was for an early night. We popped over to the club house at 08:30, it was already 39 degrees. We had a quick swim as you really don’t want to be in direct sunlight for much more than 1/2 an hour, even with factor 50 sun cream. From there we popped into the rugby club, there were two reasons for this trip: 1) Katja is interested in rugby and there was an open day and 2) they have a bar with alcohol (not for this time of the morning but to see what the crack with it is). Anyway, thanks to WAZE (this is a fab GPS app for smart phones) we managed to find our way there. They were holding an open day, unfortunately at 4 years old Katja is too young. Kati of course was most disappointed so we headed off to Villagio Mall for a consolation ice cream (for those wondering about my diet it is Sunday to Thursday). There we had an ice cream (it looked nicer than it tasted) and then we popped into Carrefour to pick up a couple of basics. There we found they had a special offer on LED TVs and as we really needed one we picked one up. The TV in the apartment is a very old one, Cathy’s iPad has a connector for the TV which means we can log onto www.filmon.com and watch UK TV (BBC, ITV, Cbeebies etc, etc). We then drove home and enjoyed our new toy, or I should say, Katja enjoyed the new toy with a Cbeebies marathon! After tea it was time for a bath and a very early night ready for an early start on Sunday morning, she was fast asleep by 18:45 and apart from waking up once, she slept right through until we woke her up at 05:30! First Day at Qatar Academy! The big day had arrived, not sure who was more excited about it, Katja or me! She got herself dressed into her uniform very quickly and couldn’t wait to leave! Eventually after breakfast at 06:15 we headed out to school, I was very unsure as to what to expect as far as traffic was concerned. We only live a few km from school but in the last couple of days I have noticed an increase in traffic. Anyway, we drove to school and managed to avoid all the traffic, we took exactly the same length of time in getting there as we have done so far! Still worried about Carmageddon I headed to school early to pick Kati up. At this point I should mention that her school day is from 07:00 to 12:00 hrs, next year she has after school clubs etc etc. So, I set off at 11:30 to pick her up, I was at school by 11:40 and sat in the car until just before 12:00. What have I learnt today? That we are incredibly fortunate to be so close to school and miss out on the traffic jams which obviously don’t affect this area! I picked Katja up from her class and she’d had a great day, thoroughly enjoyed her new class, teachers and new friends. I am not the greatest photographer on the planet, however, when I see something I like I try to capture its beauty as best I can and making the best of the equipment I have, after all, I am an estate agent (of sorts) and not a photographer! One of the (many) things that has impressed the hell out of me since arriving in Qatar 3 weeks ago (to the day) is the amazing sunsets. As you can imagine, living in the desert (sort of outskirts of desert I should say) there aren’t many clouds out here. In saying that, I did see a cloud yesterday, if I hadn’t been driving at the time, I would have stopped to take a photo of it! Interestingly enough (to me anyway) even though there’s a distinct lack of clouds, there’s also a distinct lack of blue skies too. Don’t get me wrong, the skies are sort of clue, but not the blindingly dazzling blue skies you see in southern Spain where it takes a few days for your eyes to become used to it’s sheer brightness. One explanation I had from a friend in New Zealand is that due to the sand blowing from the desert in every direction it “dulls” the bright blue. Judging by the amount of dust on the car every morning, this does make a lot of sense. As I walked out of our compound yesterday, I took the opportunity to take a photo of the sunset, remarkably enough, this is quite early as most of you who follow this blog would have hear me say in the past. 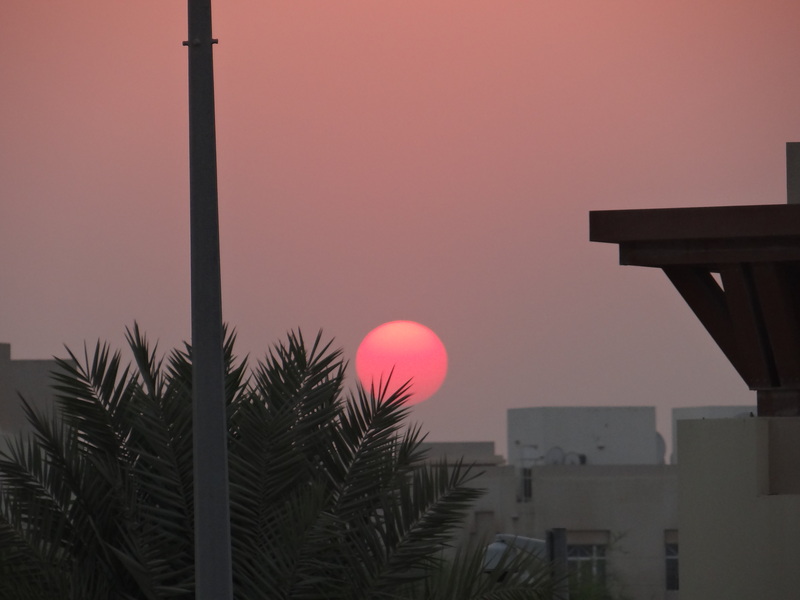 I took these photos from our compound yesterday at around 17:30! As lovers of the great outdoors, we have brought our camping gear over, I am saying we have brought in a futuristic sense as it is all in our shipment which we are hoping will be here sometime in November or December. By then, temperatures would have dropped considerably, therefore making it it very pleasurable experience. I just need to find somewhere to go camping! Along with our shipment is my tool kit (which I really missed when I was trying to assemble an Ikea desk by trying to use a pint glass as a hammer and a knife for a screwdriver, eventually leading to asking to borrow some tools from someone in the compound) – My tool kit has traveled everywhere with me, from UK to Spain, to Bulgaria, back to Spain and now it is sitting in storage somewhere in…… I have no idea, it could be Spain or UK as our shipment is coming via the UK. As well as my precious tool kit, I also have my bike in our shipment, I must admit I can’t wait to have it here and go out with Kati around the compound. It is such a safe environment it is a great place for her to finally learn to ride properly and to get rid of the training wheels! I think we’ve forgotten what else is in our shipment apart from loads of Katja’s toys, some paintings we bought in Morocco, books and goodness knows what else. I guess it may save us some money on Christmas presents as it will be abit of a surprise as to what turns up, we can always treat is a Christmas presents! If you’ve read some of my other posts you have probably guessed I am a master when it comes to going off at a tangent from the original topic, I think I have more than demonstrated this in this posting! Anyway, enough from me for today, time to get some work done while Cathy pops into school and then off to a Birthday party! Enjoy the weekend, we already started ours!